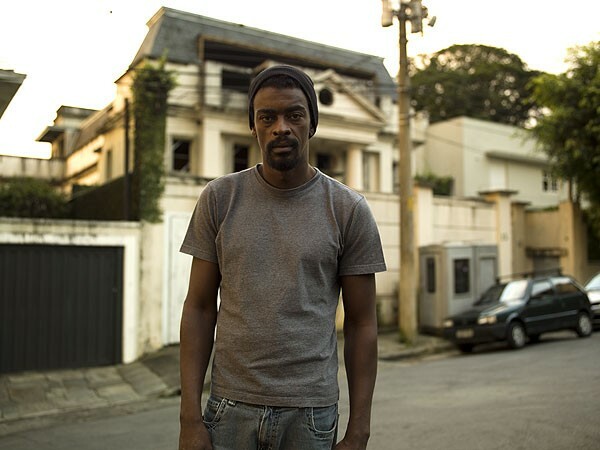 Show: Seu Jorge & Almaz Brazilian singer-actor Seu Jorge and his band play in support of their new self-titled album, which features covers of lesser-known Brazilian gems alongside tunes by Roy Ayers, Michael Jackson, and Kraftwerk. "The more I've listened to this record the more I've fallen in love with it—right now, in fact, it sounds like my favorite of the year," writes Peter Margasak. 8 PM, Logan Square Auditorium, 2539 N. Kedzie, 773-276-3600 or 866-468-3401, lsachicago.com, $25. Dinner: Longman & Eagle Jared Wentworth's meat challenge goes on and on: Kobe meatballs, duck rillettes, fat slabs of salty bacon-armored paté—squab one night, rabbit another, woodcock on a third—and a recent special of tete de cochon, not a whole pig's head but a crispy headcheese croquette atop a bed of stinging nettles (which don't sting once braised). Show: Restrepo Since the U.S. invasion of Afghanistan, 42 American soldiers have been killed in the desolate Korangal Valley, which serves as a relay point for Taliban forces traveling between Kabul and the Pakistan border. This documentary by Tim Hetherington and Sebastian Junger covers the 15-month deployment there of a platoon whose rocky outpost (named Restrepo for one of their dead comrades) was the target of endless enemy attacks, and it's an essential record not only of the Afghanistan conflict but of men in battle. See J.R. Jones's in-depth review for more. Dinner: Salpicon In 1995 Priscila Satkoff was one of the first Topolobampo/Frontera graduates to strike out on her own, and the continued success of Salpicon is as much a credit to her skills as it is to the enduring power of Rick Bayless’s tireless advocacy for authentic Mexican cuisine among the gringos. Show: Farewell Christian Carion (Joyeux Noel) fashions an engrossing espionage drama from a forgotten but crucial episode of the Cold War: the 1983 spy case in which a Soviet intelligence officer leaked to the French government classified information on KGB activities in the West, ultimately emboldening President Reagan to propose his "Star Wars" missile defense shield. Dinner: Half Shell It’s not easy to find a true dive in Lincoln Park, but this cash-only seafood restaurant fills the bill with a low ceiling, a long, crowded bar, and an entrance eight steps below street level. Show: Best Worst Movie The cult for unbelievably bad movies has enjoyed a resurgence recently with turds like The Room and Troll 2, the latter of which is examined in this documentary by its former child star, Michael Paul Stephenson. Dinner: Rise Stylish sushi has finally invaded Wrigleyville with this restaurant and sake bar from the owners of Shine/Morida on Armitage.